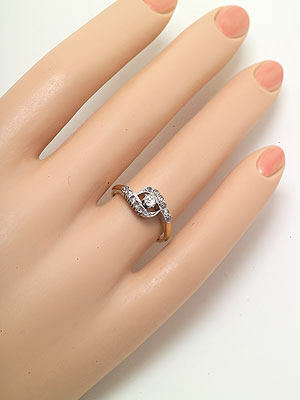 This hand-wrought antique diamond engagement ring is done in a ying-yang design that showcases the complementary nature of two souls joined by love. 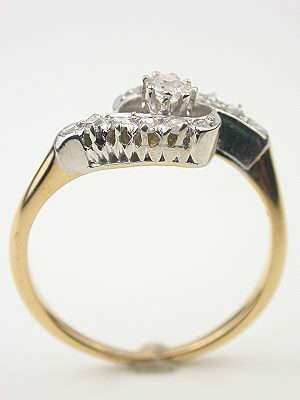 The 14k yellow gold band of this antique engagement ring has a platinum top. 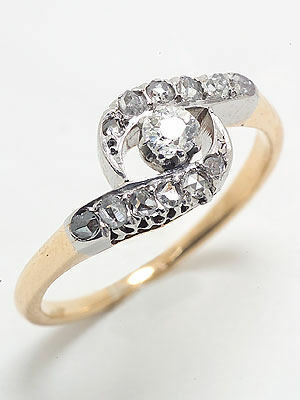 The platinum elements are accentuated with a collection of twelve rose cut diamonds. 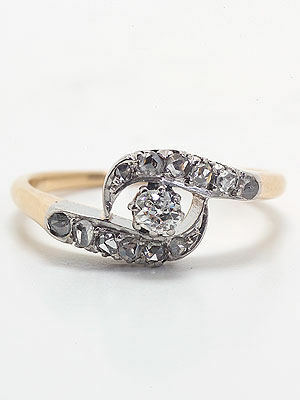 These accenting diamonds swirl their way around an old mine cut diamond that weighs 0.11 carats. 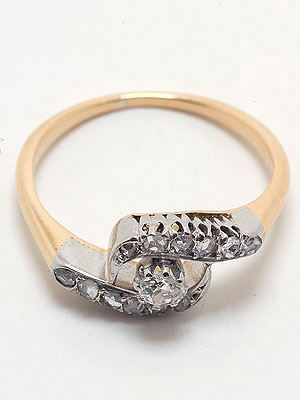 The combined weight of all the diamonds is 0.26 carats. Circa 1900. Special characteristics Hand-wrought. 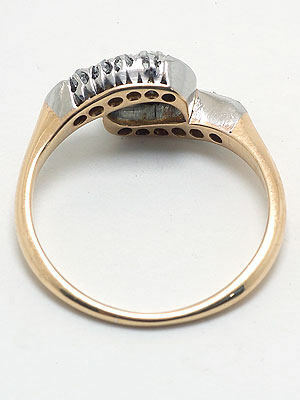 Shank is 14k yellow gold, top is platinum.